Gustav Vigeland, billed as Norway’s greatest and most prolific sculptor, would have turned 150 on Thursday, and that’s not going unnoticed in his homeland. Oslo’s Vigeland Museum is at the center of wide-ranging, national celebrations aimed at highlighting new perspectives on the man and his art, whose sculptures still attract more than a million visitors every year. The Vigeland Museum is often overshadowed by the adjacent Vigeland Park, which is home to the roughly 200 sculptures Vigeland created during the last 20 years of his life. It also routinely ranks as Oslo’s biggest tourist attraction. Now the museum is getting more attention, too, as it officially presented its major Vigeland jubilee exhibition on Thursday to mark the sculptor’s birthday on April 11. Called Parallels, the exhibition draws attention to how Vigeland’s art, and that of famed contemporaries like Auguste Rodin, developed long before the immense Vigeland Park project began. It has involved moving many of Vigeland’s other sculptures and artworks housed in the museum, “and we don’t do that very often,” remarked exhibit curator Guri Skuggen during a pre-opening tour. The sheer logistics, not to mention the weight of the objects involved, were daunting, but the goal was to make room for the works of five of Vigeland’s contemporaries including Rodin, Constantin Meunier, Aristide Maillol, Antoine Bourdelle and Antoine-Louis Barye, all on loan from the Rodin- and d’Orsay museums in Paris, Glypoteket in Copenhagen and the Louvre. All of them were colleagues and rivals of sorts in the late 1800s. 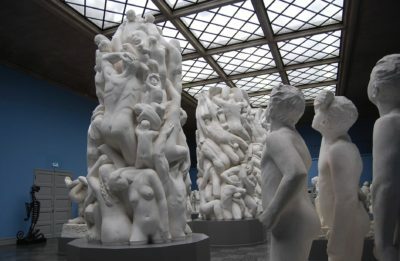 Skuggen was keen to place Vigeland’s development as an artist among them, while also portraying Vigeland’s own interest in the other artists. 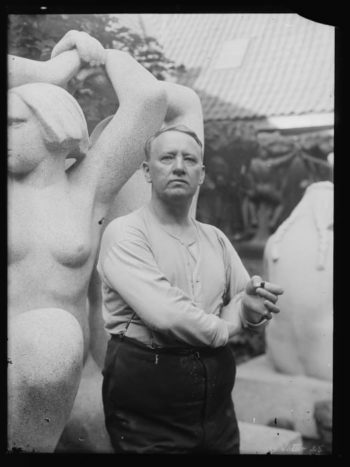 He was often highly critical, even derogatory, claiming for example that Rodin’s sculptures were “out of balance,” while his own were “always in balance.” Vigeland was known for being arrogant and “rather full of himself,” Skuggen notes. It’s important to remember, she stresses, that Gustav Vigeland was already famous at the time as well, long before he embarked on the Vigeland Park project in Oslo’s then-rural Frogner district. It was actually a coincidence that the studio built for him by the City of Oslo, and that later became the museum, was located so close to the park: Vigeland’s statues commissioned by the city were initially supposed to line city streets downtown, with his huge Monolith intended for the square outside Oslo’s central train station (Jernbanetorget). He was so prolific in his zeal to portray the human life cycle and other themes, though, that there simply wasn’t enough room for them all downtown. In 1924, right when the city was changing its name from the Danish Christiania back to its historic name of Oslo, the City Council approved placing Vigeland’s famed fountain in open space at Frogner. The rest of the park evolved from there. Vigeland would likely be pleased, since he didn’t like exhibiting outside Norway and once claimed that “if people want to see my art, they can come here (to Oslo).” He had traveled and studied around Europe in the 1890s, visited Rodin’s studio and exhibited with Rodin, Meunier and Bourdelle in Dusseldorf in 1904, but he preferred being in Oslo, where he’d also recently met the second of three women with whom he had lengthy, unconventional relationships. Other Vigeland anniversary events throughout the year include concerts, seminars, lectures on selected Tuesday evenings at the museum, sculpture workshops and walks through Oslo to see many of his other statues and residences before he moved to his new studio and home. On June 22 the city will host a big birthday party for Vigeland at the park. Vigeland will also adorn new postage stamps being issued this year, and he’ll be honoured with special circulation of a 20-kroner coin. “Our goal with all the various events,” state Skuggen and museum leader Jarle Strømodden in an anniversary magazine released Wednesday, “is to increase knowledge of and interest in Gustav Vigeland, and in his art.” Newspaper Verdens Gang (VG) wrote as early as 1906, when a model of Vigeland’s planned fountain went on display at the city’s Museum of Applied Arts, that “The time is now. It is only to acknowledge what Vigeland and his fountain signify for Norwegian culture.” It took many more years for it to be built, with its water finally turned on after Vigeland’s death and after the end of World War II. Vigeland was already seen, however, as “the strongest and most prolific sculptural talent the Norwegian people have produced.” The City of Oslo and Vigeland experts like Skuggen want to make sure that vision endures. For the best Vigeland experience, visit the museum first to learn about the man behind Oslo’s sprawling park at Frogner and his art, then walk over to the park, entering through the main gate on Kirkeveien. It’s open around the clock, every day of the year. 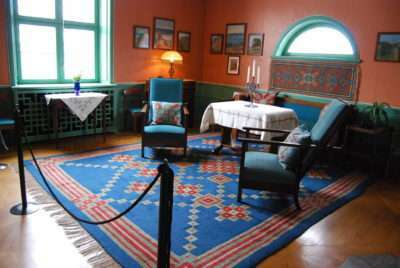 The Vigeland Museum also houses the apartment where Vigeland lived from 1924 until his death in 1943. Both it and its furnishings were designed by Vigeland and his live-in partner at the time, and it will be opened to small groups on various occasions throughout the anniversary celebrations. 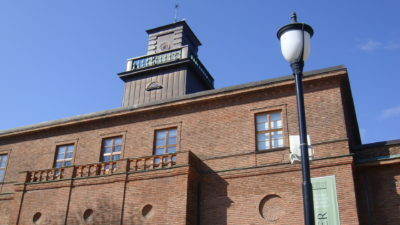 Vigeland even designed his own mausoleum, in the small tower atop the museum, where his ashes are placed.